This post was updated by Project Pengyou staff on Jan. 24, 2018. 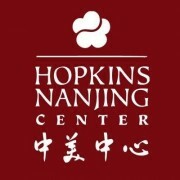 The Hopkins-Nanjing Center (HNC) is a bilingual graduate program of international studies, jointly administered by Johns Hopkins University and Nanjing University in China. The HNC offers graduate coursework that elevates your Chinese language proficiency as it prepares you for a career related to international relations. The HNC guarantees fellowships for all students who apply by our February 1 deadline, and is now offering up to $10,000 for Project Pengyou Leadership Fellows who apply to the program! The Charles B. Rangel International Affairs Summer Enrichment Program is a six-week summer program designed to provide undergraduate students with a deeper appreciation of current issues and trends in international affairs, a greater understanding of career opportunities in international affairs, and the enhanced knowledge and skills to pursue such careers. Although this program does not go to China, it’s still a great opportunity for those interested in International Affairs. Another option is to directly enroll in a Chinese University and apply for a Chinese Government Scholarship. 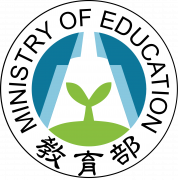 The Chinese Government Scholarship – Chinese University Program is a fully-funded graduate program scholarship established by China’s Ministry of Education for the United Nations Educational, Scientific and Cultural Organization (UNESCO) to sponsor graduate or doctoral students and scholars to study in China or conduct research. Check out our post for more information: Your Guide to Chinese Government Scholarships. The Boren Scholarship provides generous funding for students adding a Chinese language component to their education, and includes programs for STEM majors, those in the flagship program and even ROTC programs. Applicants must be undergraduate or graduate level students that have already chosen a program to enroll in when applying. For more information, check out the Boren program website. The U.S. Department of State’s Benjamin A. Gilman International Scholarship Program online application is open for undergraduate students participating in credit-bearing study abroad programs and international internships during the fall/academic year 2018-19 terms. 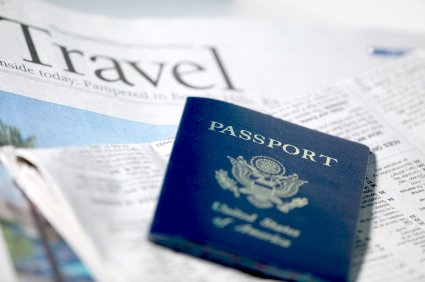 The Gilman Program aims to diversify the kinds of students who study and intern abroad and the countries and regions where they go, and you can receive up to $8000 in financial aid. For more information about the Gilman Scholarship, webinar schedules, and other helpful resources, including subscription to Gilman Advisor Newsletters, go to the Gilman website at www.iie.org/gilman. The China Scholars Program enables global-minded youth (ages 15 – 17 or grades 9 – 11) to receive real-world experiences abroad while developing an understanding for a foreign culture as well as a deeper grasp on their future careers goals. Every summer, Global Youth and APSA Scholarship recipients travel to China for this four-week intensive program. In those weeks, the scholars immerse in Chinese language and culture through daily language instruction, excursions around the city, and various service-learning projects. View the webpage for more details about the scholarship and to apply. CCSP is a program by the Institute of International Education (IIE) which provides funding for doctoral studies in China. China scholars who are already enrolled in a doctoral program at their home university can apply to have their tuition, room, and board, and research expenses covered (up to 80,000 for room and board and 20,000 for research annually) from six months to four years, depending on the program type. For more information, visit the IIE webpage! Designed to prepare the next generation of global leaders, Schwarzman Scholars is the first scholarship created to respond to the geopolitical landscape of the 21st Century. Whether in politics, business or science, the success of future leaders around the world will depend upon an understanding of China’s role in global trends. In this full-expenses covered program, students live and study together on the campus of Schwarzman College, a newly-built, state-of-the-art facility, where all classes are taught in English. Students pursue degrees in one of three disciplines: Public Policy, Economics, and Business, or International Studies. View the website for more information and to apply. Good luck to all of the Pengyous who are applying for scholarships and fellowships to go to China! Let us know if we missed any other programs that you think belong on this list, and stay tuned for more resources later.